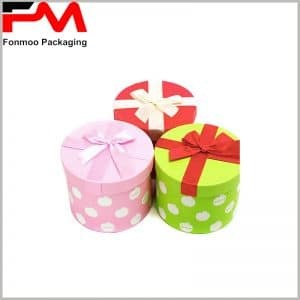 If you get something interesting that you want to show them even when they are protected under package, this small tube box for gift, with wooden lids and transparent end on the body can be a nice choice. First, let’s count its complicated material compositions: lid made from wood, transparent window realized by pvc film of 0.3mm, main body constructed by 200g cardboard and decorated by 60g chrome paper with gold stamping process, such assemble makes a nice and creative package to attract customers’ attention at the first glace. There are limitless possibilities of application: dry fruit, candy, chocolate, toy, etc., anything of attracting appearance. Of course such a package will cost a little more than a common one, but it’s worth paying for customers’ interest. 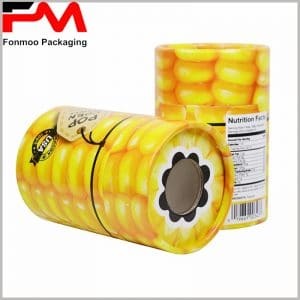 As we are professional fabricator of tube packages, you won’t have anything to worry about the price or customization options. 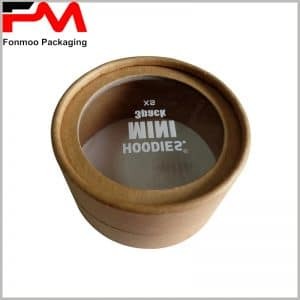 Just get in touch and communicate your demands, and let us offer you the best solution based on this small tube gift box with wooden lids and transparent end.